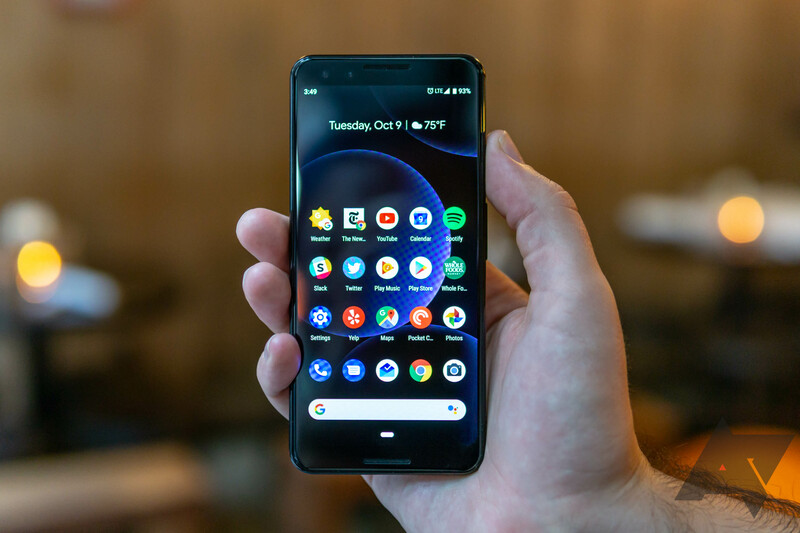 During the course of the big Google hardware event on October 9th we heard about a number of new features, most relating to the three main products being unveiled — Pixel 3, Pixel Slate, and Home Hub. As the dust has mostly settled, Google thought it might be a good time to run us through some of the new features coming to Assistant on Pixel phones, new and old. This feature basically stole the show on Tuesday when it was demoed on a Pixel 3, but it's also coming to first and second-generation Pixels in November. Using the same AI technology as Google Duplex, the Assistant can answer a call for you, find out who's on the line, and show you a written transcript of the whole conversation on your screen. This allows you to pick up the phone and carry on the conversation or hang up in the case of a spam or nuisance caller. It will certainly save you some awkward conversations, but it probably won't solve the problem entirely. Google first showed off its Duplex AI tech back at I/O in May, and it was equal parts impressive and creepy — imagine answering the phone and Google Assistant is on the other end asking to book a table. At the Pixel 3 event, it was announced that this feature would go live in November, which Google reiterates in today's blog post. All three generations of Pixels will be getting Duplex booking capabilities, but only in New York, Atlanta, Phoenix, and the San Francisco Bay Area to begin with. If you have a screen lock on your phone (and you should) the Assistant is rendered practically useless when your phone is locked. That can be a pain if you just want to ask it something quick while you've not got your hands free. Thankfully, a new opt-in setting exclusive to the Pixel 3 will allow you to interact with the Assistant without unlocking. Before, there was an option to unlock your phone with your voice when summoning the Assistant (Trusted Voice), but this is much less reliable than other forms of security lock, so we wouldn't advise this. The new setting promises to give you some extra Assistant functionality with your phone remaining locked. Google's blog post also talks up the Assistant's Visual Snapshot feature, otherwise known as the second coming of Google Now (hallelujah! ), but that's been around since July so we don't know why they're claiming it's new. Plenty of other upcoming features — particularly for smart displays — were also outlined by Google, so take a look at the source link for more.